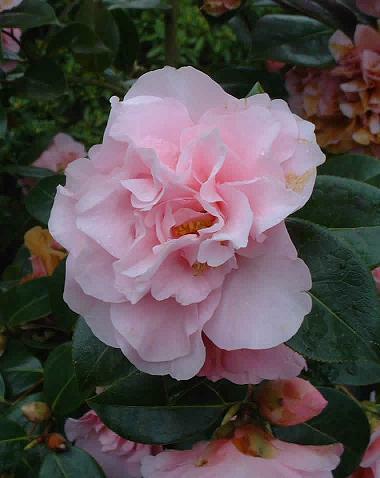 Camelia picture library with free downloads of high resolution pictures. 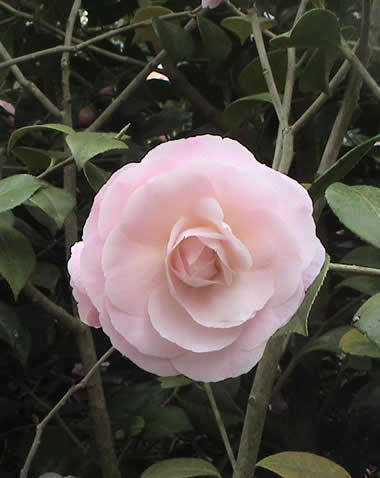 The correct name and picture of flower is given. 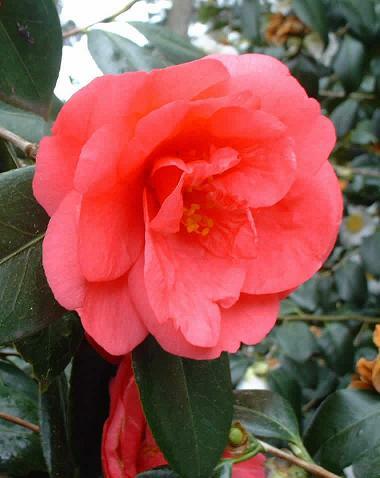 Look at the pictures to select the right Camelia for your garden design. 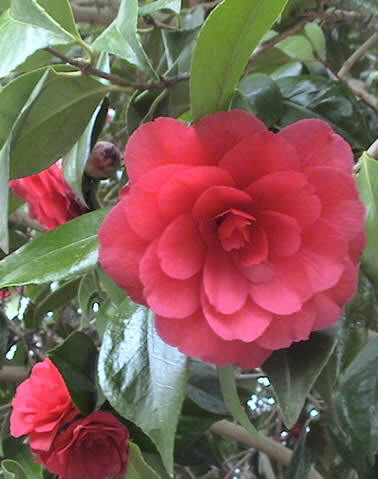 Camelia blooms are most elegant as this camellia picture shows. These evergreen shrubs flourish in acid soil. 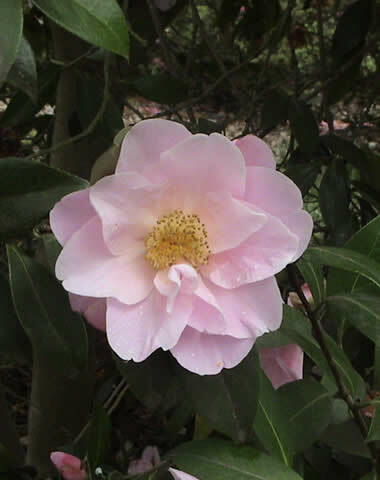 They originated in woodland areas from the orient. 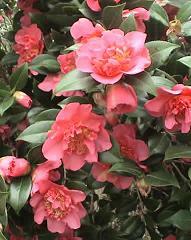 Camelias are spectacular when flowering. They grow between 1 and 20 meters (3 to 20 ft) tall. 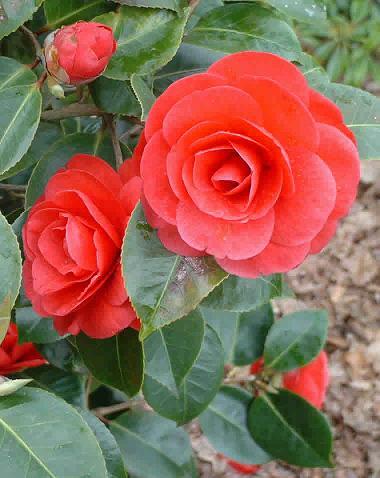 Camelias make excellent specimen plants, both outdoor and in containers. 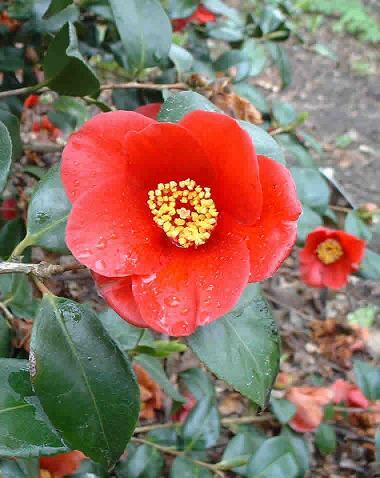 Grow your camellias in moist, well drained, humus rich acid soil. The pH should be between 5.5 and 6.5. Maintain a mulch of leaf mould or shredded bark, 5 to 7 cm deep. 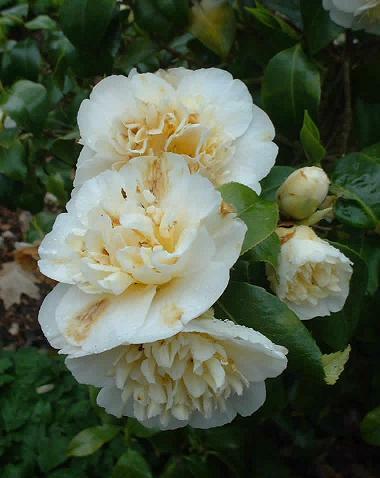 Camelias do well in shady walkways. They also thrive under tall trees, particularly pine trees. Here they get a natural mulch of acid forming pine needles. Where possible a low resolution and high resolution picture can be downloaded. You are free to use the pictures for your own private use, but you may not use any of the pictures for any commercial gain.